American Water Heaters is one of the leading manufacturers in the industry. Their products are high quality and high performance water heaters are available for commercial and residential applications. The company has been one of the leaders with energy saving water heaters. 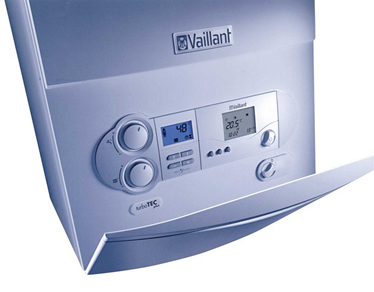 The company offers more energy efficient, water, more reliable and safer water heaters. 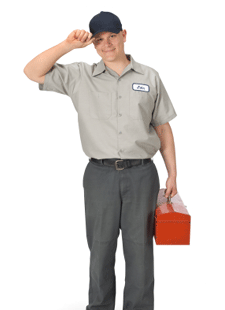 All of the employees that work for American Water Heaters are knowledgeable and well trained by a company who cares about their customers’ needs and their products.American Water Heaters offers Residential Gas as well as Electric Water Heaters. One of the most popular is the American ProLine Direct Vent Residential Gas Water Heater. Let’s take a look at some of the features and benefits of this American Gas Water Heater. 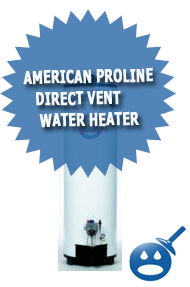 The American ProLine Direct Vent Residential Gas Water Heater is a Direct Vent Enclosed Combustion System. It has a 3/4″ top water connections that has a 3/4″ side space heating connections. This water heater uses a fused ceramic Shield Tank that is used to prevent anti corrosion protection. The American ProLine Direct Vent Residential Gas Water has a factory installed Side Temperature & Pressure Relief Valve. This American ProLine Water Heater has a protective anode rod that will protect the water heater from sediment build up and rust and corrosion. There are aluminum steel multi port burners that last a long time on these gas units and Cast iron are suited for propane water heaters. The ProLine has a Combination Thermostat and Energy Cut Off. There are 2 different models that come with the Residential gas Direct ProLine American Water Heater, the DVG62-40S38-NV and the DVG62-50T42-NV. Each water heater is 40 and 50 gallons respectively. The natural gas input per hour on the 40 gallon model is 38,000 BTU and the propane has an Input BTUH of 36,000. The 50 gallon water heater uses 42,000 of natural gas and 40,000 BTUH of propane. It is always a good idea to read all of the specifications that the American Water Heater ProLine offers. It is important to make sure that the water heater you are choosing is the right size for your home. By choosing a water heater that is too small, you may end up spending more money and the same if your water heater is too big. One of the benefits of using the American ProLine Direct Vent Residential Gas Water Heater is that it is perfect for homeowners that like prefer the through the wall or through the roof venting of the water heater. The air from the combustion chamber is taken in from the outside and with these choice of these two venting options there will be less risk of fires or flammable vapors. Another great benefit of the American ProLine Direct Vent Residential Gas Water Heater is that they use a 2″ Non-CFC Polyurethane Foam that prevents any heat loss and reduce the cost of energy. One of the other features of the American ProLine Direct Vent Residential Gas Water Heater is that it comes with a Drain Valve that easily located for easy maintenance. But the drain valve is child resistant and is also rust and corrosion proof as well. With the American Water Heater ProLine Direct Vent it comes in assembled so there are not hundreds of pieces that have to be out together. It is recommended that you have a professional installer install the American ProLine Direct Vent Residential Gas Water Heater. You want to choose a location for your water that is near the center of the water piping system. This is an indoor water heater install only. Make sure that the installer that you choose is licensed and is qualified enough to know the local and state codes (Natural Fuel gas Codes). American Water Heaters is one of the top water heater companies out there. They offer nothing but high performance, energy efficient products and their products are cost effective. Take a look at the other water heaters that American has to offer. If the ProLine isn’t what you are looking for American offers many more in different sizes.